Patient handoffs are a major source of anxiety for physicians, and with good reason. The handoff is one of the most dangerous periods during an episode of care. Nearly two-thirds of the most serious preventable medical errors are due to communication failures, especially during handoffs. To improve handoffs (and patient care in general) many organizations are making a big push for team-based care, but few have truly achieved it. A potential reason is that, although all physicians practicing within a department may be fairly experienced, most studied at different medical schools, have taken different CME courses over time, and experienced different cases. 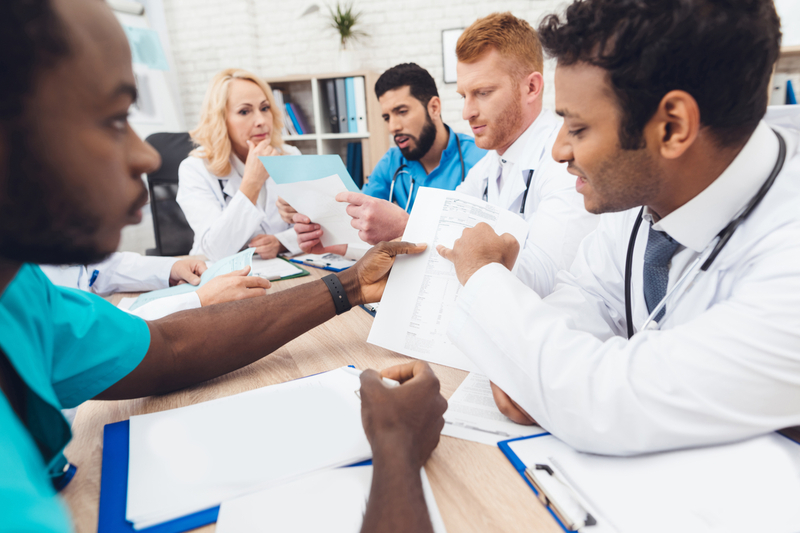 As a result, physicians within the same specialty often don’t truly share a common language, knowledge base, or philosophy, making it hard to function as a true “team” and provide seamless transitions for patients. For example, results from the pre-tests physicians take prior to any of our courses show that many physicians within the same department at the same hospital or practice often receive wildly different scores on different sections of the test. This is true even for trainees in the same training program who, theoretically, should be fairly similar in terms of what they know. One way to improve physician communication and continuity of care is to give everyone access to the same learning tools. The physicians who receive widely disparate scores on the pre-tests mentioned above earn much more similar scores by the first post-test, indicating that physicians can be brought onto the same page fairly quickly. Providing all physicians within a department with a common education helps in multiple ways. First, shared education ensures that everyone has the same baseline of knowledge, meaning more consistency in treatment. While some physicians may specialize in certain areas, every physician on the team should at least have the same understanding of the basics. Second, when physicians learn about (or refresh) the same things, in the same way, from the same people, it allows them to form a common language. Physicians who learn together can speak about things the same way, refer to the same guidelines and research, and recall the same information. Given the major role communication plays in improving handoffs and preventing errors, a common language is key. Finally, if a physician knows that all other physicians have gone through the same training, he or she will have more piece of mind when handing off a patient to the next shift. Knowing that the next physician will be able to provide the same level of care can help reduce stress and make it easier to go home and relax—and that’s a benefit every physician needs. Get your whole team reading from the same playbook with personalized, convenient online courses on foundational and emerging medicine. Contact us to learn more.